We specialize in the design, engineering, component supply, installation and commissioning of pigging systems or product recovery systems. 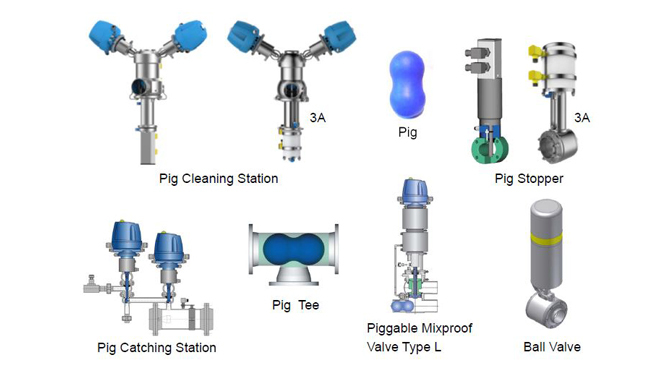 Our pigging systems are highly effective and are capable of recovering nearly all valuable viscous products from the pipelines, which would otherwise go to waste. Our products help industries improve operational efficiency, reduce cost and lower environmental footprint. Our systems can be designed in manual, semi-automatic or fully automatic mode to suit your need and fit your budgetary goals. We also have extensive experience in designing Product Recovery Systems as per the 3-A Sanitary Standards.